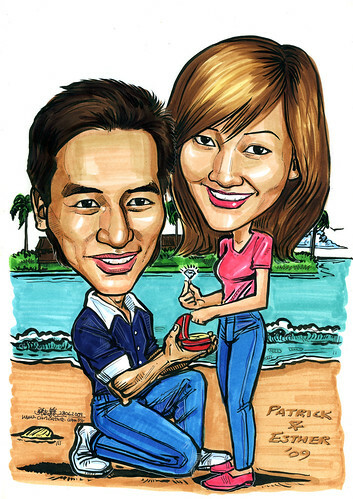 "....I will be using this caricature as my proposal and i have in mind something similar to the attachment in this mail. It would be a A3 size with a backdrop of the sentosa sea setting. I would like also this to be done by color marker....."
This job was quite a breeze to me. No stress in drawing their faces.